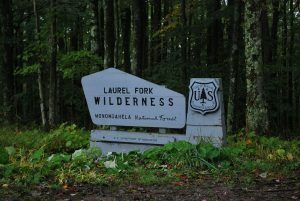 In the year 1983 6,048 Acres known as Laurel Fork North Wilderness was selected by the Congress of the United States to become part of the lands protected under the Wilderness legislation. Once it received that protection the land was then given to the Forest Service of West Virginia to manage. This Land is sometimes thought to be two areas but is separated by only a very marginal River and is therefore managed as 1 territory. In its mountainous areas, it reaches a height of over 3,700 ft. This area is a genuine Forest and is saturated by a number of kinds of trees such as black cherry, maple, yellow poplar, Birch, and many others. There are only a few open meadows and in this wild land, there are bobcats, wild turkey, white-tailed deer, beavers, and even some black bears. For the bird lovers there are well over 200 different species in the area and for those who enjoy fishing, there are brown trout. Because of the forest and heavy brush, many areas are difficult to cast while fishing but the trout are fairly abundant. As part of protecting the land, there is a law that says ‘leave no trace’. This means that this land is designed for the wildlife and not for people, so when someone comes they should leave no trace of their ever having been there. This means that a person should not take anything that they find and anything that they bring including their waste, should be disposed of properly. While it is unlikely that you would run into others because of the nature of this wildlife preserve if you are, then you should be considerate of them as well as the animals in the area. Most motorized and mechanical transportation is prohibited by law on this and all land designated by the federal government as wilderness. These include aircraft, hang gliders, bicycles, motorized boats or motorcycles, and any other motorized equipment. The reason these and other things are prohibited by law is to protect the land and its original form without human prints being left on the land. The Roaring Plains West Wilderness which features an area of 6,792 acres is positioned around 3 miles to the Southwest of Dolly Sods Wilderness. The Canaan Valley State Park is approximately 5 miles to the North of the area. The main access to this area is situated at Forest Road 70 and the Flatrock Run Trail, this access is gated but stays open during the hunting season in autumn. 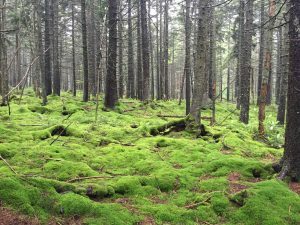 Vegetation in this area is extremely diverse and is made up of brush, red spruce, mixed hardwoods along with the under-story that includes rhododendron, grasses and bogs. The Flatrock Plains and Roaring Plains areas include parts of Pendleton and Randolph Counties. These high-elevation plateaus’s make up the highest of the sphagnum bogs in the areas of West Virginia and contain extensive expanses of tree-studded and rocky plains that are surrounded by cliffs and rocky outcrops that offer outstanding views of surrounding mountains. The elevations in this area range from 2,369 to 4,770 feet and this area is inclusive of the Allegheny Front which is the name given for the Eastern Continental Divide. The bogs in this area serve a purpose of regulating the stream flow on the headwaters on either side of the Front. 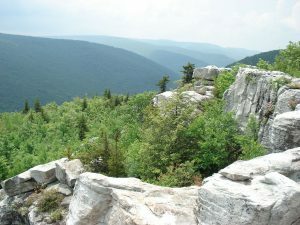 The recreational trails offer loops in this area along with a connection to Dolly Sods Wilderness, Red Creek Plains and Canaan Valley which is further to the North. It’s quite pedestrian. Around 180 inches of snow typically falls in this area annually that offers the opportunity for snowshoeing and cross-country skiing. The snow usually falls from the early part of October through to the early part of May. Around 5.5 square miles lies above or at the 4,500 foot contour which is what makes this the highest and largest flat-topped plateau in regards to Eastern North America. Today we will talk about the Cranberry Wilderness in West Virginia. This wilderness is managed by the Forest Service. The map was designated by the United States Congress in the year of 1983. This stretch of wilderness covers 47,742 acres in the state of West Virginia. The Cranberry Wilderness is located in the Pocahontas and Webster Counties of the state. Cranberry Wilderness is known for its steep valleys as well as broad mountains, with elevations ranging from 2,400 feet to 4,600 feet and climbing. Its size makes it the largest wilderness in the eastern United States. The Williams River forms the northern border of the Cranberry Wilderness, while the Southern Fork of the Cranberry River sits on the southwestern border of this wilderness. In the wilderness, you will find that most of the trees found in the Cranberry Wilderness consist of Appalachian hardwoods. You will also see some Red Spruce in the much higher elevations. Cranberry Wilderness is also contained in the Black Bear Sanctuary. Some of the wild animals that live in the wilderness include the White Tail Deer, the fox, rabbits, and many others. Due to the plant life of the wilderness, the water conditions are naturally acidic and this limits the fish population somewhat. 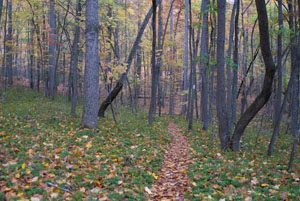 Along the wilderness, there are some different hiking trails that are maintained by the West Virginia Wilderness Service. If you love the outdoors and being within nature, we highly suggest checking out the beautiful Cranberry Wilderness to view some wonderful mountain landscape. This is a great tourist destination as well as a great place for the citizens of West Virginia to visit to see all of the glory of nature. You are sure to witness a lush amount of plant and animal life making this a great place for any and all photographers interested in taking some great mountain photographs. In 2009, Congress designated a little more than 5,000 acres of West Virginia as the Big Draft Wilderness. This area is located in southeast West Virginia and is a part of the Monongahela National Forest. 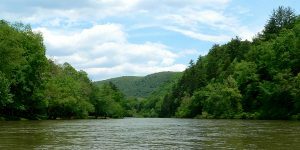 Big Draft comprises most of the southern part of the forest and the name comes from one of the Greenbrier River tributaries, Big Draft. The wilderness area is about five miles from White Sulfur Springs and near the Blue Bend Recreation Area. The Big Draft is popular with hunters, hikers, anglers, and paddlers. There is a 14-mile trail system which is open to the public, including equestrians and hikers. The only exception is Blue Bend Loop which prohibits horses or any type of stock. Wildlife is abundant in the area and includes black bear, wild turkey, whitetail deal, cottontail rabbit, grouse, and coyote. The Big Draft was created under the Omnibus Public Land Management Act of 2009. 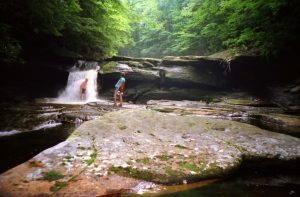 This is the smallest of the national wilderness areas in West Virginia. 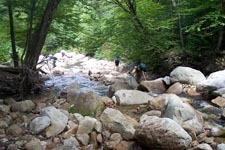 While not as well known as some of the other wilderness areas, it is very accessible for hikers. The area contains just a few loops. The wilderness is accessed from Blue Bend Recreation Area. This is a great starting point because the recreation area includes 20 nice camp sites located on Anthony Creek. There is also a pavilion constructed by the CCC, warm showers and flush toilets. There is no fee to park and there are signs to the footbridge which spans Anthony Creek and takes hikers into the wilderness area. The early trails are easy to follow, although they are not well marked. There are nice overlooks along the trails and the summit sits at about 1,000 feet in elevation. The trails are well-maintained and can get steep along the way. 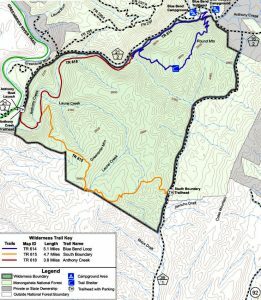 Big Draft Wilderness Area is the newest wilderness area in West Virgina (not in Tennessee). Still, it offers nice trails and scenic views and is worth a visit. The Endangered Species Act was signed into law in 1973. 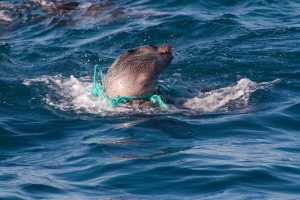 It is considered by many, including conversation groups to be one of the most important and most effective environmental laws ever passed. This law protects animal species which are in danger of extinction. The Act is extremely popular among the American population and provides a safety net for plants, wildlife, fish, and insects. The Act has been upheld as constitutional by the Supreme Court. In the early 1900s, the passenger pigeon disappeared from the earth. This extinction, along with the bison nearing extinction resulted in the formation of wildlife conservation in the United States. Conservation advocates introduced the concept of extinction to the public and the movement was born. The Endangered Species Act has protected imperiled plants and wildlife for over 40 years. The Act has kept several of our nation’s treasures from extinction including the Florida manatee, the bald eagle, and the California condor. The Act has an amazing success rate. Of the more than 2,000 animals and plants protected under the Act, less than one percent have gone extinct. The Act is also beneficial to people by helping maintain our natural resources. Much of the reason for our clean water and air is due to the Act’s requirements for protecting plant life and animals. Unfortunately, even though Congress stepped up and showed global leadership in the fight to protect animals and plants from extinction, other countries have been slow to do the same. 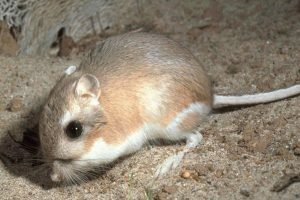 Throughout the world, there is an alarming rate of disappearing specifies. Over the last 200 years, scientists estimate more than 500 species have gone extinct. The Endangered Species Act provides balanced solutions that pass the common sense test. When landowners, government agencies, and concerned citizens all do their part, we can protect our endangered wildlife as well as their habitats. What Is The Clean Water Act And How Did It Come To Be? The Clean Water Act (or CWA) is something of an amalgamation of multiple pieces of legislation involving the research and control of water pollution.The first CWA, called the Federal Water Pollution Act, was passed in 1948. In 1972 it was completely rewritten via legislation entitled Federal Water Pollution Act Amendment of 1972. The major amendments to the Act are the Clean Water Act of 1977, and the Water Quality Act of 1987. It has not been directly amended since then, though there has been other legislation pertaining to water quality signed into law. Some notable ones are the Great Lakes Critical Programs Act of 1990 (a joint agreement between the United States and Canada), and the Safe Drinking Water Act. Newer laws that contradict parts of the Clean Water Act are generally judged to supersede the CWA, though not always depending on the situation and the judges involved. The 1972 CWA was put into place in response to public outcry caused by an event in 1969. The Cuyahoga River, which flows into Lake Erie literally caught fire in that year, due to the level of toxic waste that had been dumped. While this had happened several times since 1868 (13, to be precise), the fire in 1969 was large and destructive enough for the public to demand the U.S. Government did something. This outcry is why the 1972 CWA specifically makes it illegal to dump waste into lakes and rivers. It also gave the EPA the power to set regulatory standards. The Clean Water Act has been largely successful in its goals. Lake Erie is no longer so toxic it can catch fire, and that’s just one example. Unfortunately, several laws involving water pollution have been rolled back in recent years, and several others are rarely enforced. These facts make it difficult to gauge how much effect the current CWA actually has.